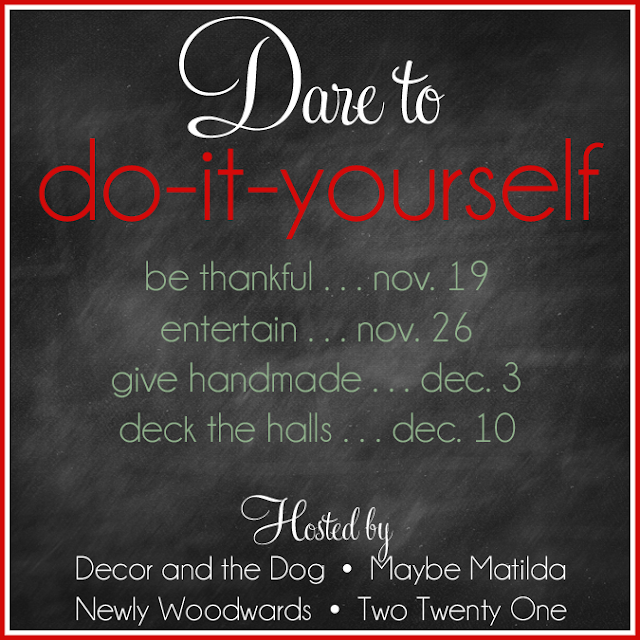 Thank you to Decor and the Dog for including my dry erase board in her 'Be Thankful' features round up! I've never decorated for Thanksgiving before because I'm one of those people who can't wait to decorate for Christmas after taking down my Halloween decor. That being said, I wanted to make our first Thanksgiving in our new house feel special so to ensure that it does, I signed up to participate in the Dare to DIY series Chelsea, Kim, Michelle, and Rachel are hosting. 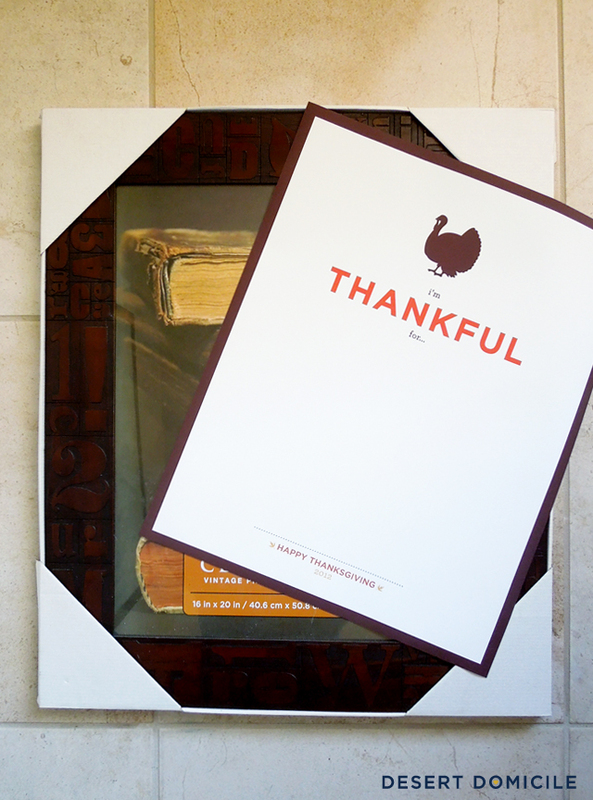 Our first projects instructions were to DIY a Thanksgiving project that reminds you to be grateful during the season. One of the things I'm most grateful for is my friends and family and in order to be reminded of them throughout the season, I created a modern day twist on a guest book that everyone can sign when they come over to fall into a tryptophan coma with us! The sign is hanging close to where everyone will be gathering to get their turkey on T-Day and while they're waiting to fill up their plates, they can grab a dry erase marker and tell me what they're thankful for! When the sign fills up, all I have to do is grab a damp paper towel (or Windex and a paper towel), wipe down the glass and then the signing can start all over again! Want to know the best part? 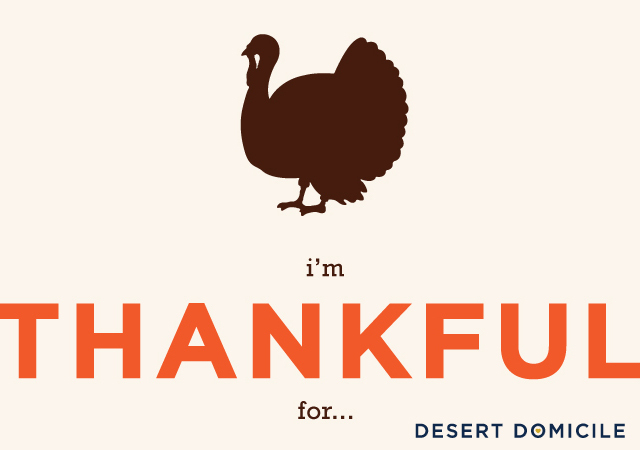 Because I'm incredibly thankful for you guys -- my readers, subscribers, commenters, e-mailers, etc. 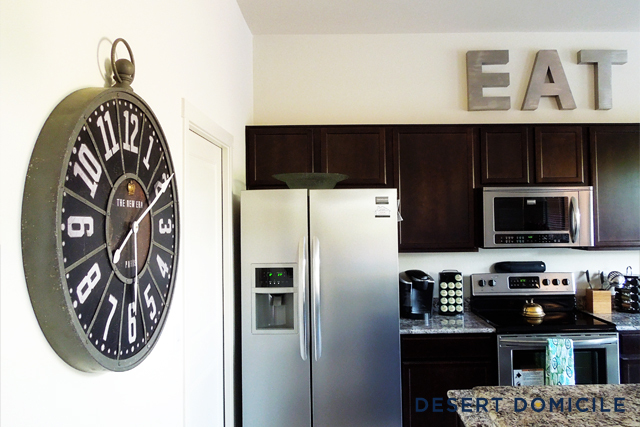 -- I'm offering you a free printable of the sign so you can make a dry erase board of your own! Love the idea and the simple design! Unfortunately I'm not spending Thanksgiving at our home. I love that frame! It's perfect for this project! Thanks for the printable! *gasp* YOUR KITCHEN! Oh my, so pretty. I love it. And I love the sign! 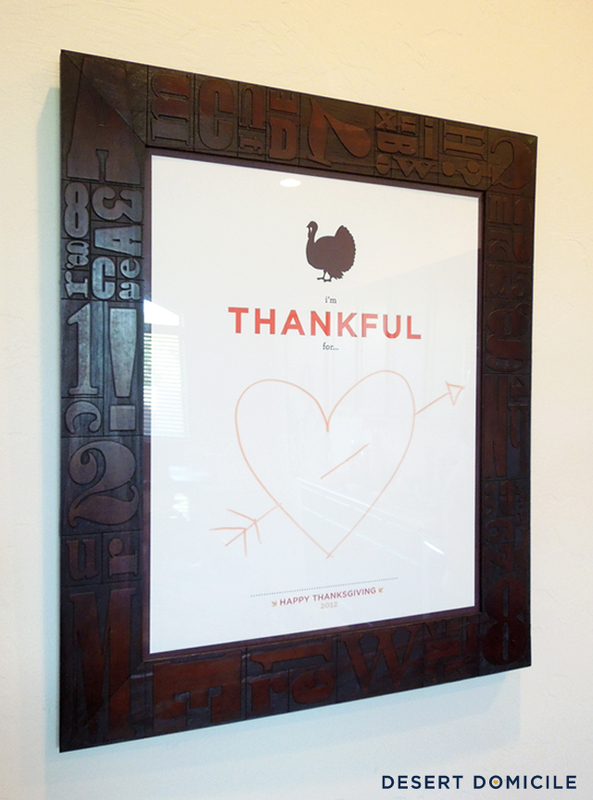 That's such a cool idea--I've seen some dry erase type prints before in frames, but I LOVE the idea of using it as a Thanksgiving guest book. Great idea. Thanks so much for joining in! I love, love, love this idea. And I want that frame. Wherever did you get purchase it? Thanks for joining in on the DIY fun!! Love this idea! What a neat way to communicate your thanks with loved ones all season! What a neat idea! And I love that frame! And I love your kitchen. And I love your 'EAT' sign. :) Thanks for linking up!